After finishing my 4th Paris Brest Paris 1200km ride in 2011 I decided I would have an easier year in 2012 and not ride further than 200kms (125 miles). In November 2011 I asked Jason Brookes if he wanted to ride some 200km audax events with me in 2012. For some years he hasn’t ridden more than 120kms in a day but even so he accepted my offer thinking we might do our 1st 200km ride in April or May. He was extremely shocked when I gave him his 1st entry form for the 7th January and the next for 22nd January!! He rode, he suffered but he finished (in a state). In February we rode the 123km Snowdrop Express from Hartlebury, but with riding to the start and back that day ended up as just 2kms short of a 200km ride. Disaster struck late Feb when Jason had his best 2 bikes stolen. We already had another 200km events booked for early March so I lent him a Carbon Fibre Giant (far better than the bikest he had stolen). By now his fitness and stamina had improved dramatically and let loose on a lighter bike I had to fight to keep up with him at times. He didn’t want to give me the Giant bike back but by late March he had a new one of his own and I insisted. He thought he was in for a short but hilly ride as we were entered for the Long Mynd 100k late March. Another shock though when I arranged for him to be at my house on his bike at 4.45am to ride out to the start (and back). So a 100km event turned into a 270km day (so much for not exceeding 200kms in 2012). Two more 200km rides were notched up in April, then another in May and another in June. I also asked him early April if he was interested in riding the Mersey Roads 24 hour time trial in the summer and (foolishly) he said yes. To get some speed into our legs we rode some of the Walsall roads club 10’s and 25’s – regrettably we never made it to the SCC club 10’s. 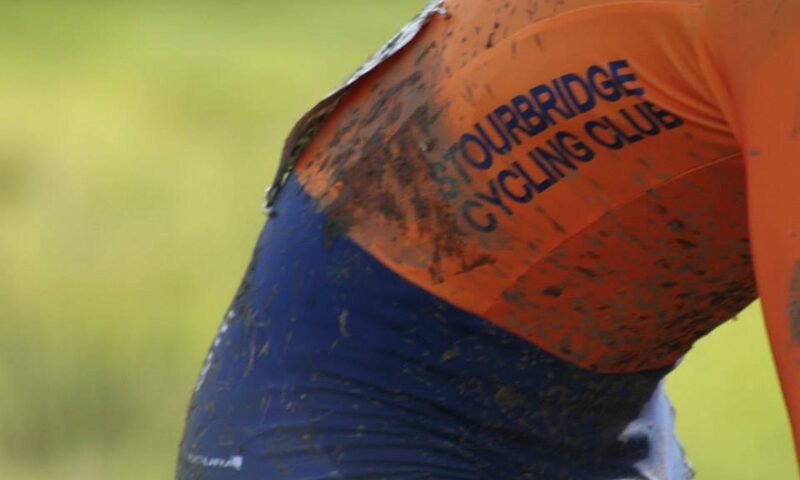 Jason needed to join a club to ride the 24 hour so I convinced him his future was orange and shortly he was a Stourbridge CC member and sporting a club top. The next intention was to ride a 50 and 100 mile open in readiness for the 24 hour. More bad news – Jason found his uncle dead the day before the 50 mile TT and was in no state to ride, so we improvised a few weeks later and road the Walsall Roads club 25 course twice round very early Sunday morning and timed ourselves – going from a 25 to a 100 was too much to ask of him. The finish on the 100 mile open TT was about 7 miles from the start (where we were parked). I finished and rode back with the intention of driving to the finish to save Jason the 7 mile ride. Then suddenly he appeared before I’d even got my bike in the car. This meant he had ridden 15 minutes faster than me but never passed me (starting just 4 minutes after me) – impossible. He was gutted to discover he had only ridden the finishing circuit twice not three times so he only rode 83 miles!!! He’s not the brightest spark in the box but I thought he could at least count to three! His 92 year old nan that he lives with (and cares for in addition to working full time) was then chronically ill and in hospital and his 24 hour TT and other rides looked set to go by the by. Fortunately his parents who live in Spain came back to the UK and stepped in to help (as they should) and things were back on track. (and his nan’s condition improved). We rode the 24 hour and Jason found a new pain level, he was sick over his handlebars during the night but good lad he kept on pedalling. Quite a few people who know Jason told me he wouldn’t go the full 24 hours and he would quit – there was every likelihood of this. So I mentally prepared him for the event by telling him that others were saying he would quit and he shouldn’t be riding. It did the trick he suffered like hell but he kept riding just to prove them all wrong. The 24 hour TT is a lonely ride, during the hours of darkness keeping yourself motivated is really hard going, but even when dawn breaks you still have another 7 or 8 hours to battle it out to the finish. He clocked up 321 miles which is less than I thought he would do, but he wasn’t last and it was great training for his next one!! He wanted to sell his bikes when he had finished and was hurting so much. Pain is only temporary though and that feeling subsided. Just when Jason thought we would be taking it easy we rode the Kidderminster Killer 200k Audax in August, he rode very well but I had an awful ride and suffered most of the day. Jason was most pleased to see our situations reversed for once. So now Jason had ridden ten 200km audax events in 2012 earning him his Brevet 2000 award. It didn’t stop there though, we did get to ride an open 50 mile TT. We were entered for another 100 open and a 12 hour, the 1st we didn’t get in, the 2nd was cancelled (much to Jason’s relief). So the BBAR I had hoped we would complete (100mile, 12hr, 24hr) didn’t come off. September to December we rode another five 200km events the last being on the 16th December. Two of which were permanents not actual events so there was just the 2 of us riding, no one else to sit behind or chat away the miles with. We also started another 200 permanent (at 6.30am in Tewkesbury) late November but abandoned after 10 miles as the flooding on the roads was getting deeper and deeper– an early start for nothing. By the end of the year Jason had also earned the Audax Brevet 3000 award for 100 & 200km rides totalling 3000km in a year amd maybe even a rest over Christmas. There was lots of rain, wind, one absolutely sweltering day. There was never any blood but there was sweat and tears and suffering by the bucket load – a year Jason will never forget. Jason’s next shock was that 2012 was just a warm up for 2013 which holds even greater challenges that I have in store for him. He’s got a head start on me though as whilst I was still on holiday in the lake district climbing mountains, he rode a 200km audax 5th January (with help from GPS files that I downloaded for him before hand). If he copes with 2013 and then 2014 which will be even harder then just maybe I can persuade him to enter the next Paris – Brest – Paris 1200km in 2015!! If you’re not trim enough or fast enough to race (like myself) but want a challenge then there are plenty of Audax events from 50km to 1400km every year – and you get café stops!! Jason will admit he isn’t very clever but with more Audax organisers providing GPS files as well as the paper route sheets then finding your way around the routes is a lot easier. Jason can get lost finding his way out of a paper bag (they don’t call him Saftnav for nothing), but if he can do it (without me now) then anyone can armed with a bit of determination! !